Kapila Muni is one of the twelve leading authorities in the Vedic tradition. His system of metaphysics and spiritual knowledge—Sankhya—forms an important part of India's philosophical heritage. 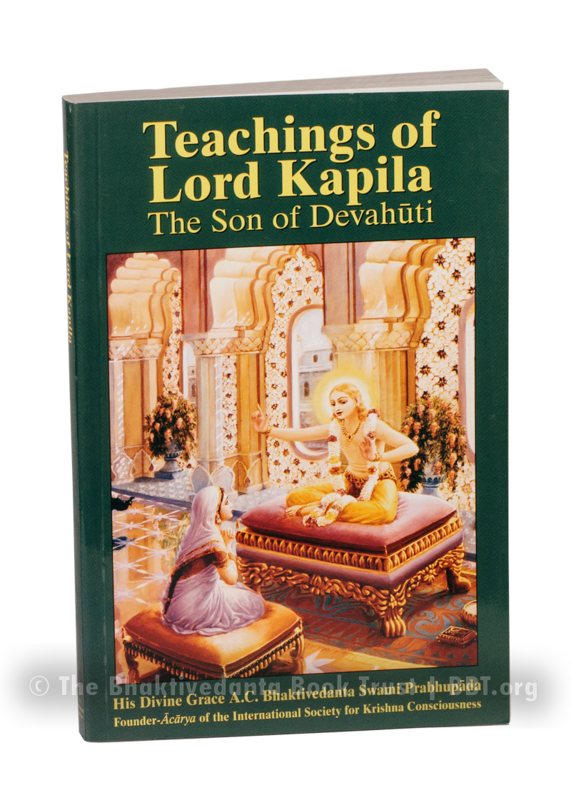 Teachings of Lord Kapila is based on a unique series of lectures presented in Mumbai, India, in the spring of 1974, by His Divine Grace A. C. Bhaktivedanta Swami Prabhupada. At the time of the Kapila lectures, Srila Prabhupada had just completed writing the section of the Srimad-Bhagavatam containing Kapila’s teachings. The lectures explain the verses in even greater detail, and were later transcribed and edited to create this book. Complete with original Sanskrit, translations, and purports, Teachings of Lord Kapila discusses the significance of the guru, the psychology of consciousness, the characteristics of a self-realized person, the science of meditation, the nature of transcendental knowledge, and the process of ultimate liberation from material existence.